Why Do We Care About Blac Chyna's Future Tattoo? 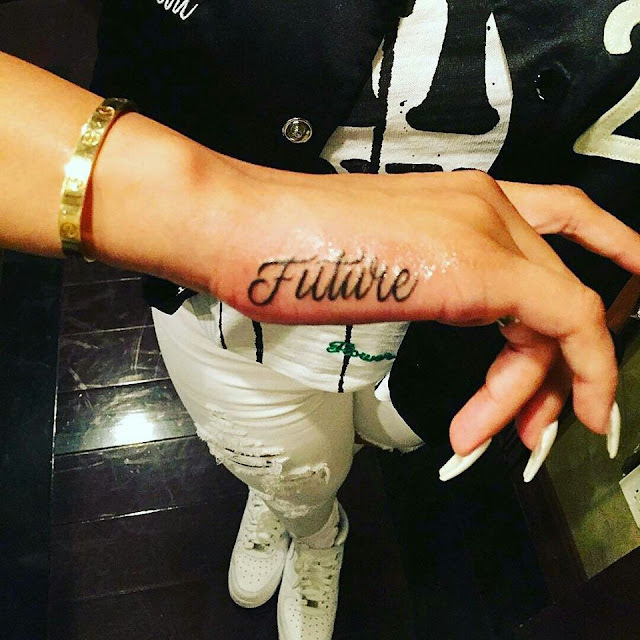 I have a question about this 'Future' tattoo that Blac Chyna posted earlier today on Instagram...so here I go with my question, "why do you think people really care about what Blac Chyna tattoos on her body"? Is it the fact that it was posted on Ciara's birthday according to what I am reading all over social media, and if so, Ciara moved on the bigger and better things if the point was to make her jealous. Also, I'm reading that many people think Blac Chyna is "dumb" because Future is known to not be monogamous with any woman he has dealt with so, why would Blac Chyna make this big move by tatting his name on her hand, Last, some are saying maybe it's not about 'Future' per say, that may have been a thought however, she quoted a lyric from his album. I mean personally I've seen so many women tatting guys name on their bodies and not even married to the guy or girl and ended up breaking up with them so,what's the big deal. I'm just curious on why it's such a big deal when many women who are judging and pointing fingers has done the same. Feel free to drop you thoughts and comments below.